LOS ANGELES - Oct. 20, 2017 - PRLog -- Legendary classic rock band, The Babys, have been enjoying their highly-anticipated rebirth since reforming after a 33-year hiatus back in 2013 when co-founders Tony Brock (drums) and Wally Stocker (lead guitarist) returned to the stage with a new line-up. They returned to the studio in 2014 - releasing the album titled I'll Have Some of That! Now, Brock and Stocker, along with lead vocalist/bassist John Bisaha, guitarist Joey Sykes, keyboardist Francesco Saglietti and The Babettes; Holly Bisaha and Elisa Chadbourne returned to the studio in late summer of 2017 to record their follow-up album, Timeless: Anthology II. The album pays homage to The Babys 1981 Anthology album, offering recreations of many of its signature songs, deep cuts and new songs.The album art was conceptualized by Bisaha, with artist Jenn Mitchell executing the design, style and color palette. Together, their vision connected the band's past to their present via use of subtle imagery, which they feel long-time fans will recognize and new fans will discover within the elements. The album art contains several components, just as the making of Timeless has also involved multiple moving parts respectively. The album is currently being crowdfunded via PledgeMusic at www.pledgemusic.com/thebabys and offers 30 exclusive store items, including giving fans a chance to be a part of selected recordings, to offering private house concerts and more! "I'm so excited about our latest campaign. We have been back together almost five years now – and it's been a real blast! The fact that you can get the fans in on the game is incredible. It's a new calling card for us, we absolutely love what we are hearing from the studio and we hope you do as well!" Those currently pledging to the campaign have been treated to some behind-the-scene track samplings and other inside scoops, and The Babys are excited to invite everyone to come be a part of their timeless journey! The Babys are available for interviews and radio/TV appearances. Contact Jenn Mitchell, Public Relations for The Babys at pr-team@thebabysofficial.com or at 847-693-0455. The recording of Timeless: Anthology II is taking place at Pacifique Studios in North Hollywood, CA, and is engineered by Ted Greenberg and produced by Tony Valenziano and Tony Brock. Spend NYE with The Babys at Highway 39 Event Center! Ring in NYE with The Babys at Highway 39 Event Center! 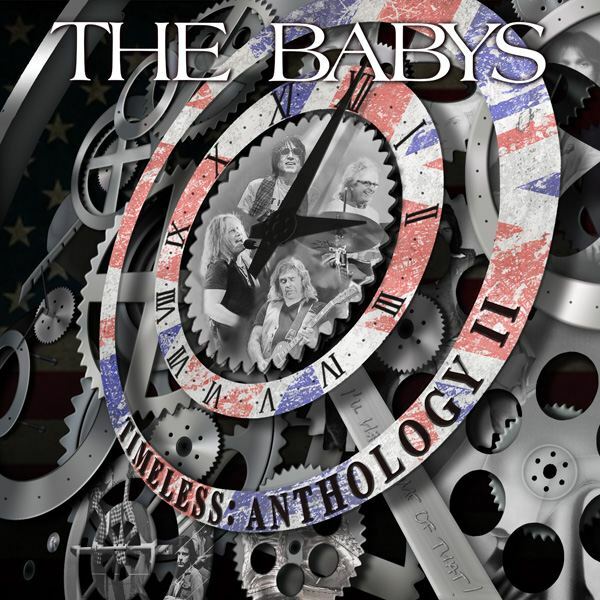 See Legendary Classic Rock Band THE BABYS on Oct 29th in Huntington Beach, CA!